These trousers I chose as part of the student lowdown campaign with ASOS and I've worn them so much over the Christmas holidays! They're sooo comfy which is the best thing and can be worn for anything. I'm loving anything tartan at the moment - I'm dying for a tartan skirt! And I got a cute tartan scarf for Christmas! I should just wear ALL THE TARTAN at the same time and look tartanly awesome. I'm a tad behind with outfit posts, this is from the first week of the Christmas holidays! Oops! Well I've finally got around to posting it, better late than never! I LOVE this, I just think I would be too short to pull them off, you however, look amazing in them! They look amazing on you! 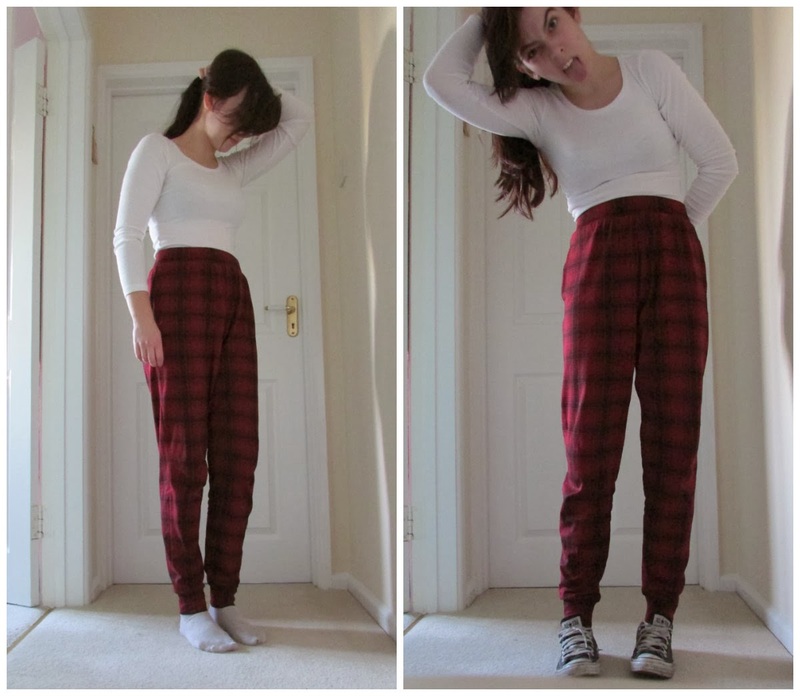 I want a pair of tartan trousers now. Gawddamnit.